How to ensure that the opinions and ideas of participants play a central part in the programme. It is easy for organisations and professional workers to (often unintentionally) design and deliver projects that really suit their own needs rather than those of project participants. For people who are homeless or have experienced homelessness, this can feel like exactly what happens in other areas of their lives - other people get to decide what happens to them.  Both the Royal Exchange Theatre and the Booth Centre wanted to make sure that the opinions and ideas of participants played a central part in this programme. Over time, we developed different ways of doing this. 1. Establish a pattern for reflection, which can be repeated, so that participants find it familiar and easy. Booth Centre participants asked themselves four questions (which they changed from time to time) at the end of workshops, performances and events. 2. Use visual minute takers to listen to and draw group discussions. It means that people can talk freely and have a record of what has been said. 3. Use creative ways of expressing thoughts and ideas. For example, Booth Centre participants kept a diary of their experience using haikus and post-cards. 4. Act on what is said – if participants say that something isn’t working or is difficult for them, ask how it could be better. Then make it happen. 5. Include the voice of participants in all formal evaluation reports and in presentations.